Happy to report I have kept my promise so far since my last post and have not stepped on my scale. In fact, I haven’t even looked at it. Rob hid it in his closet. And my attitude has been so much better! This week, I was able to PR at Crossfit a few times. My squat clean and jerk is now at 115#. We did squat cleans back in mid-November and I couldn’t get underneath 90 pounds (1RM was 85). So, that’s a 30# PR in a little over 2 months. On Monday, I knocked out a 100# Push Press, and then on Wednesday I PRed my backsquat at 185# (20 pound gain in two months). I owe most all of that to my diet and probably burpees. I hate to thank burpees but I’ve done a lot lately so they deserve a little cred. Speaking of food that I make and eat, here is what the latter part of this week looked like. 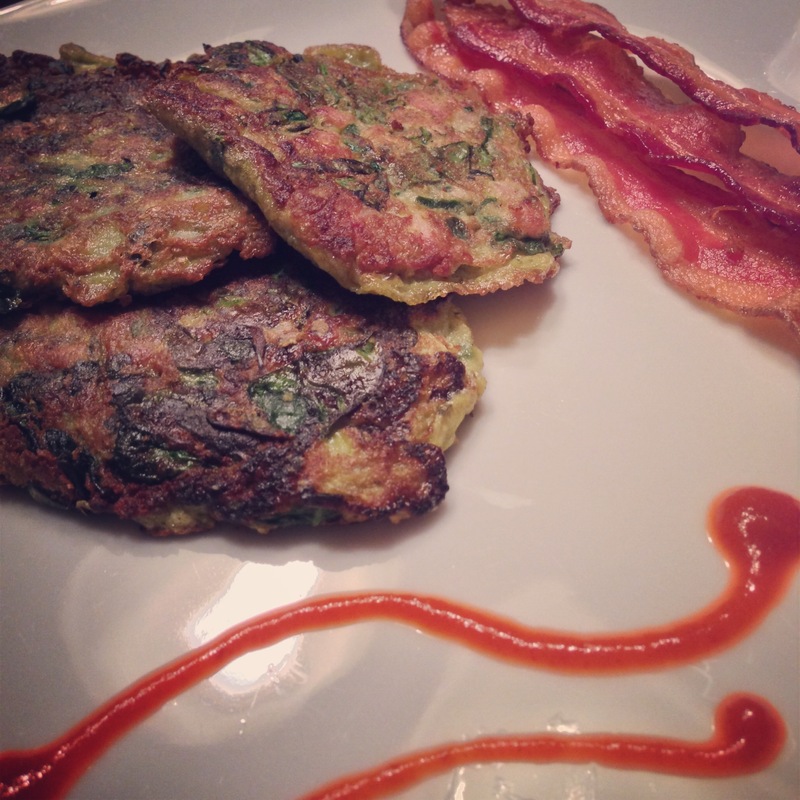 I made Egg Foo Young inspired by Nom Nom Paleo’s recipe! You can find her recipe here with lots of progress pictures. I’m not into taking progress pictures cause like, I have to cook yo. 2/3 cup diced ham (or any leftover cooked meat) I used mostly Canadian bacon and then subbed in some regular diced ham too. Mix together your protein, spinach, veggies and seasonings in a bowl. Then, in a separate bowl, mix together the eggs, liquids, and almond flour. Spend time making sure you work the clumps out of the almond flour. When you have a thick goop, pour it into the bowl with your other stuff and stir around. It should look fairly unappetizing, and you may begin to have self doubt. You may question the legitimacy of this recipe, your religious beliefs, my cooking expertise, and your thoughts on global warming. BUT, I promise, things will turn out. Heat a skillet (I love cast iron for this kind of thing) and melt whatever fat you want to fry these suckers in. I used half wok oil and half bacon grease. We made bacon to eat alongside these, and I am never one to waste an opportunity to use bacon grease, so boom. Then, I used a 1/3 cup measuring cup and scooped mixture into it and ladled it carefully into the skillet, one plop at a time. Once the bottom sets up just a hair, press down and begin to make it into more of a “pancake” shape. I fried these about 4-5 minutes on each side, often peeking underneath to make sure nothing was burning. Flip them gingerly and press on them periodically so you can squeeze any uncooked liquid from the middle. Essentially, it’s a round omelet so you want to ensure all of the egg cooks. When done, place the cooked ones on a plate or wire rack to cool as you fry up your remaining batches. I was able to make about 13 with this recipe. 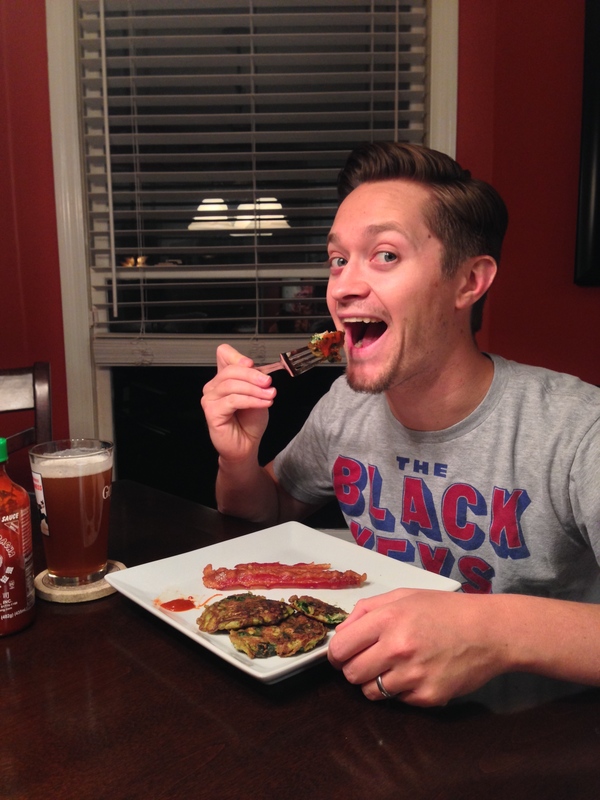 Then, gobble them up with some sriracha! Seriously, you could turn this recipe into anything you wanted with whatever seasonings and meat you wanted. Next time I make these, I may only use a splash of the fish sauce, and instead use soy sauce. The fish sauce taste was pretty potent left over. Friday night I made this amazing hash that I’m going to share here because it really blew me away. Or, maybe I was just really hungry, but I thought that it came out great, AND it’s Whole30 approved without even trying to be. 1 apple, cored and diced (I used a HoneyCrisp and I imagine any apple would be good but NOT Red Delicious). First! I liked to chop up things according to the veggie caste system and isolate them into bowls. What I mean by this is: My onions, garlic, and zucchini would cook together at the same time, so I chopped them all up and set them in a bowl together to wait until their special moment. Then, I did the same with the butternut squash and the apple. Now, time to cook! 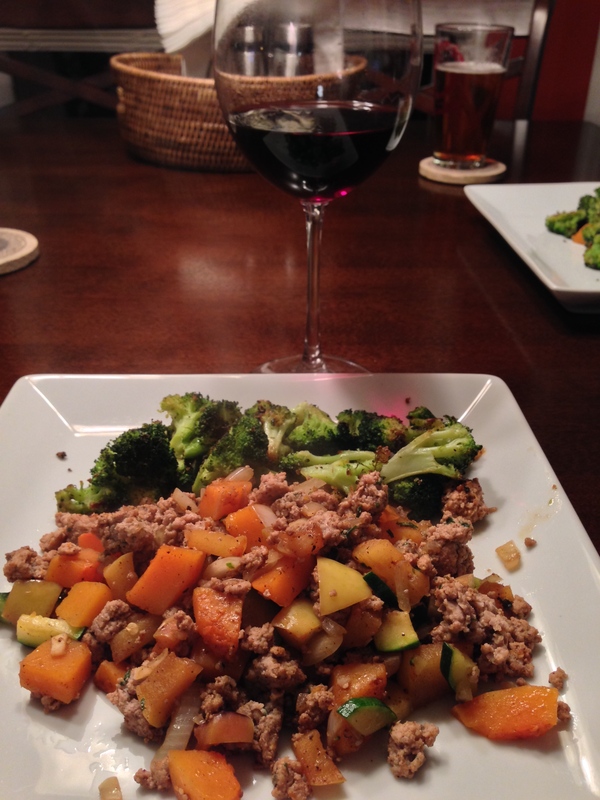 Some fat went into the skillet, and then so did the ground turkey. I seasoned it with S&P, and then some sage. The sage made all the difference! It was an out of body sniffing experience. When the turkey has cooked through, drain it and set it to the side. 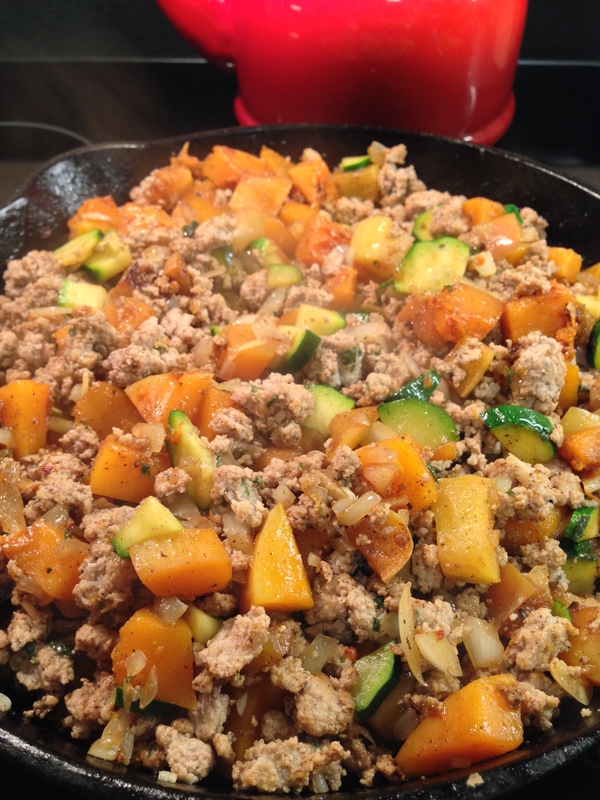 Throw in some more fat into the same skillet and throw in the squash and apples. At this point, I sprinkled some salt and Cinnamon on this while it cooked. Apples need cinnamon; it’s a fact. Then I covered this with foil and let it cook about 4 minutes while I watched some of the Opening Ceremonies of the Olympics. I got a little distracted, but luckily nothing burned. Continue to cook until the squash gets tender and apples brown with delight, stirring every couple of minutes. When done, pour that into the same bowl as your turkey, and tell it to be patient. Now it’s time for the onions, garlic and zucchini to have their special moment. Put more fat into the pan, and then the bowl of veggies and let them sizzle and shake. At this point, your skillet may need deglazing. Mine did! So, splash a little white cooking wine in or broth and let it deglaze all the yummy bits and scrape the bottom of its flavor so it continues to cook into the food. I love deglazing pots and pans, it’s a hobby of mine. When those have cooked and begun to brown, it’s time for the whole gang to come together. 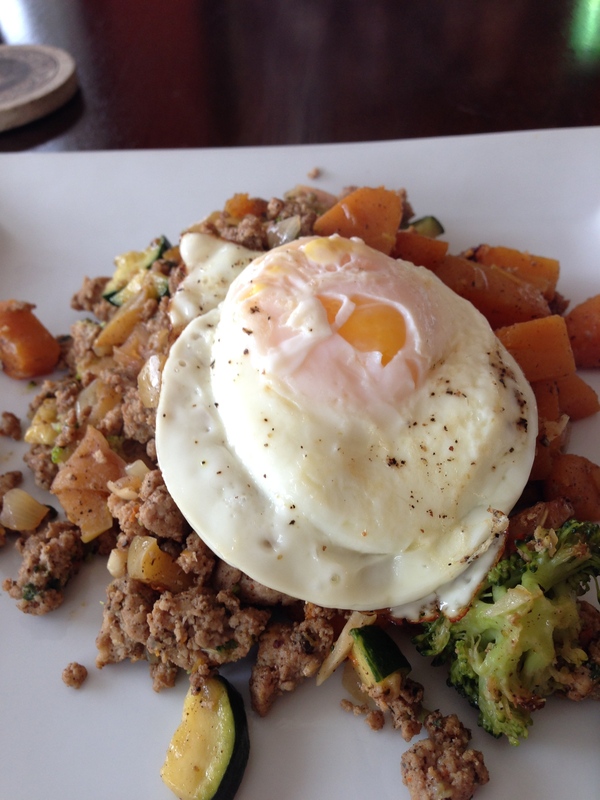 Dump all the of turkey and squash mixture on top of the veggies and incorporate everything into a harmonious hash family. Reference above picture for what a functional hash family may look like. Scoop huge spoonfulls onto a plate and inhale. I also roasted some broccoli to inhale alongside. Then, I also ate some at brunch the next morning. 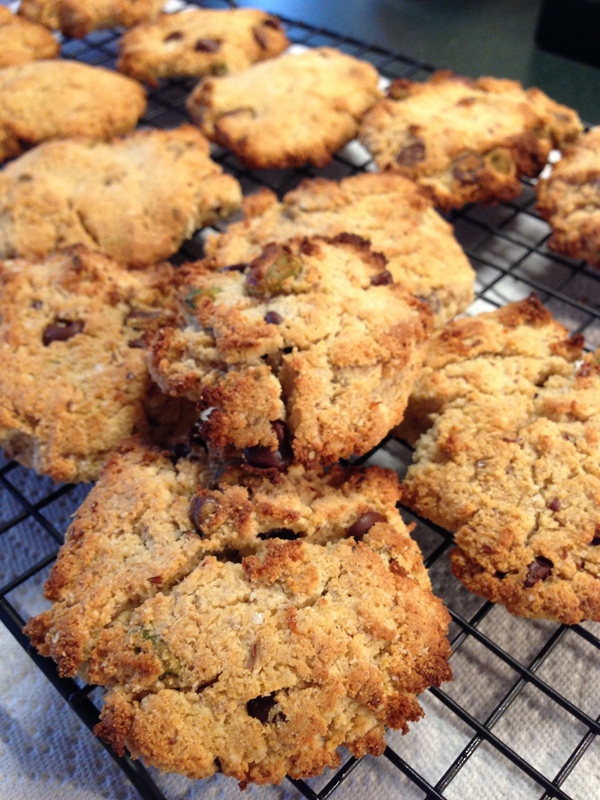 After I ate brunch I made more cookies (recipe here) but this time I added some pistachios. If I have time today I’m going to try a second batch with my other flavor of protein powder (Peanut Butter Chocolate) as well as flavor it with some espresso. We’re talkin’ experimentation! Then after a few hours of cleaning the house, and spending tons of money at Costco we started on dinner. This post makes us look like marathon eaters, gosh. 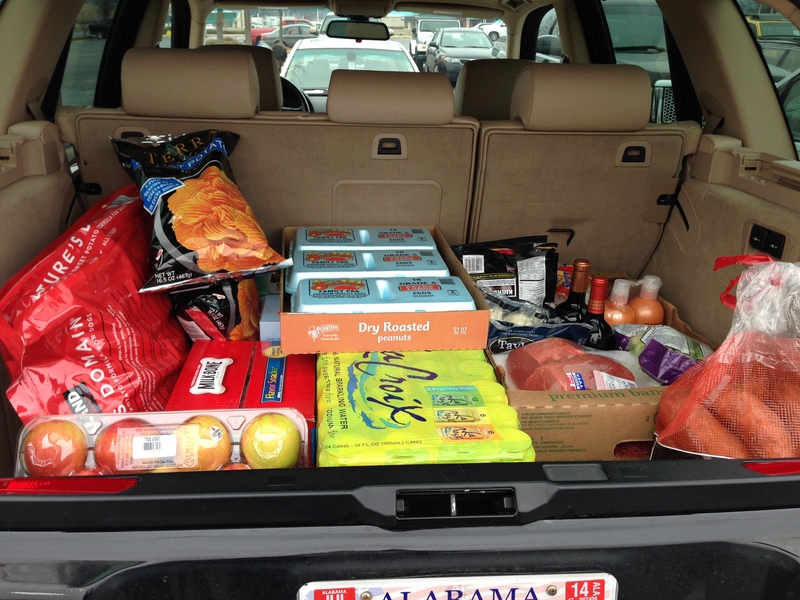 This is what a life savings looks like in Costco merchandise. 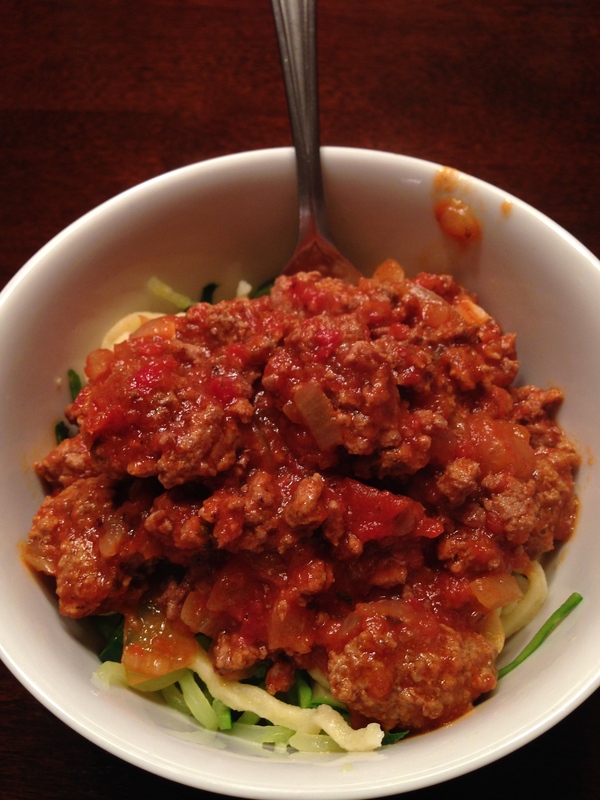 I knew I wanted to make a bolognese sauce since I hadn’t made one in forever. 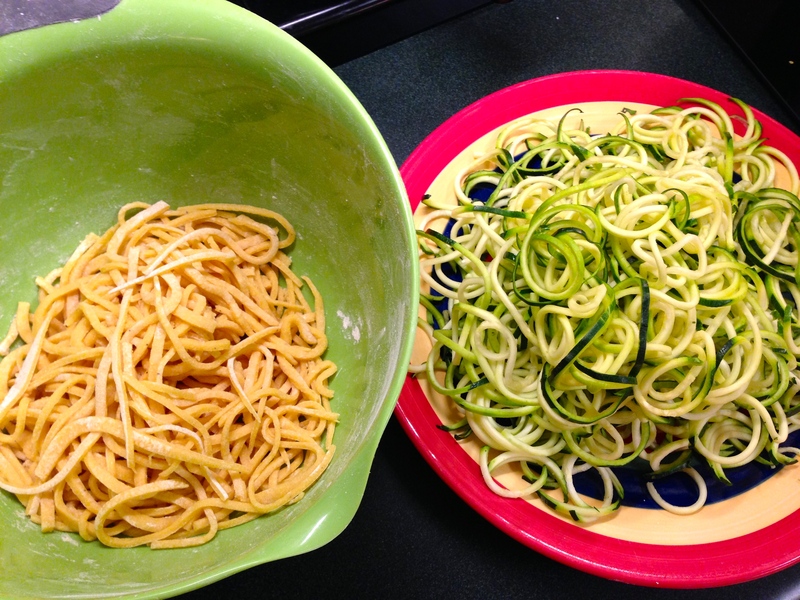 I also had some zucchini stashed away that I could spirilize for a noodle component, but then Rob suggested that we make our own pasta together and do half that and half zucchini noodles. 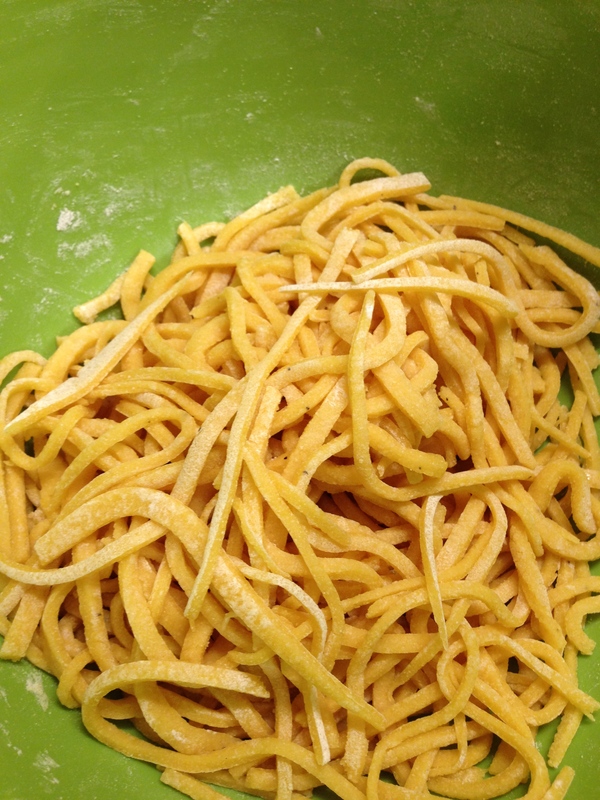 My heart went pitter-patter at the sound of “home made pasta”. So that’s exactly what we did. The balance of good and evil. While we were working on the pasta together Rob sweetly said “I think this is the best form of couple’s therapy we engage in.” Cute guy. Hope everyone else had as tasty and happy of a weekend as I did. I’m off to go make a chili (again) and a pot roast which will likely make an appearance on another blog post! Previous If my scale had a name, its name would be Lucifer. 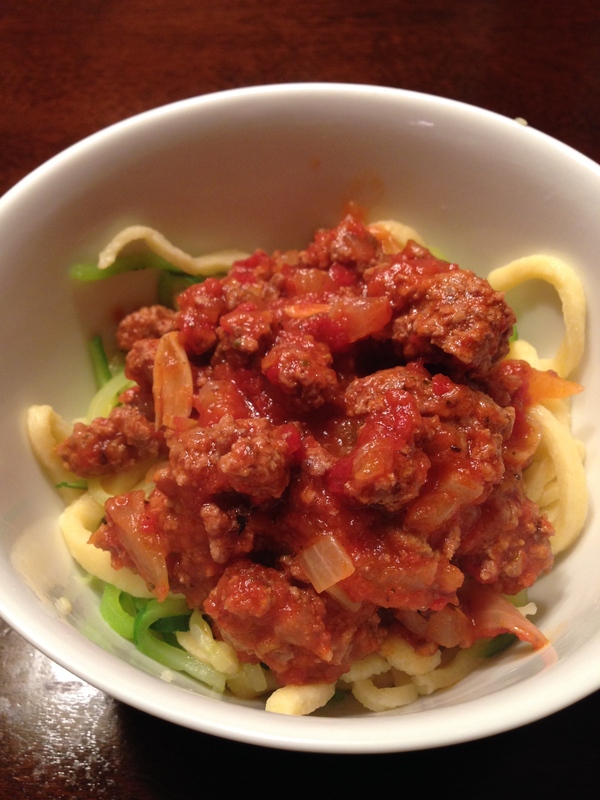 I love your blog and the recipes you share look delicious.